So it begins.. 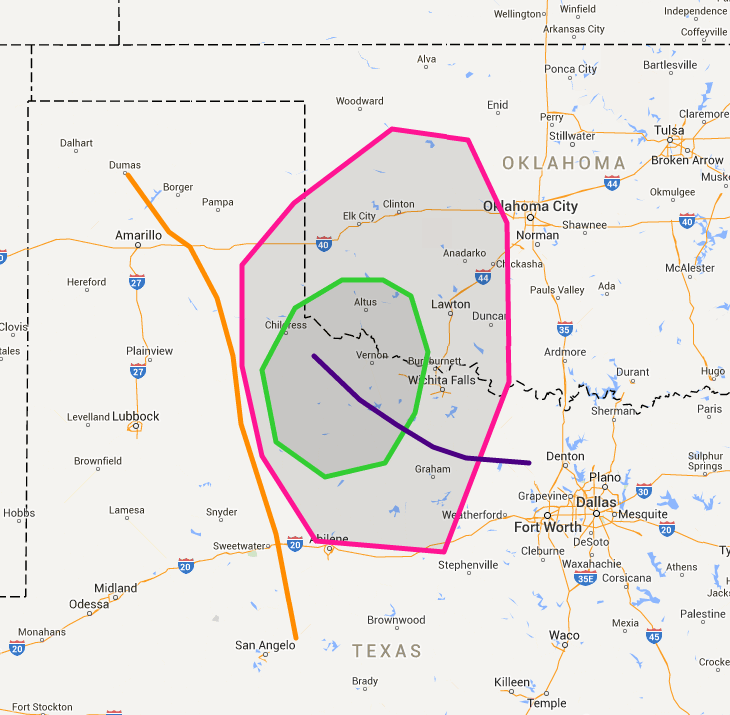 Tomorrow is the first of two potentially volatile tornado events, and yes, possibly “outbreaks” across the southern plains. 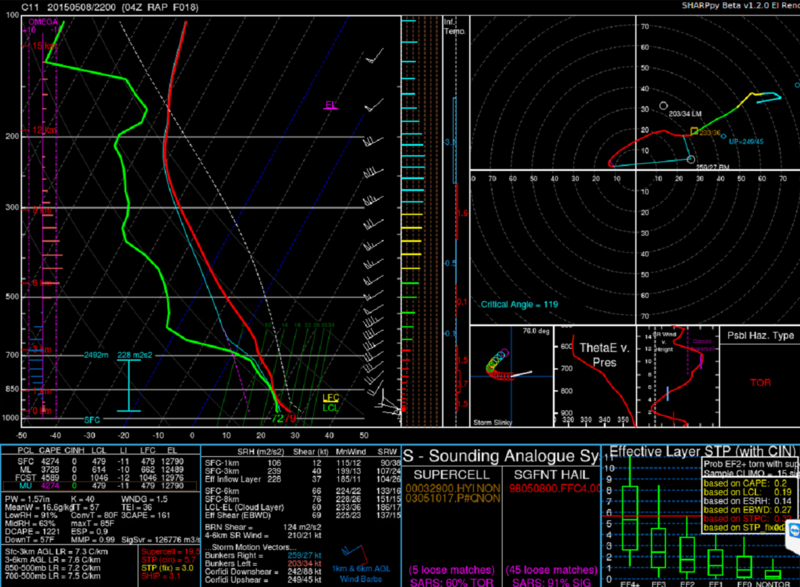 There has been a lot of talk about these, so lets actually break it down… BTSull style here, so lets look at the soundings and analysis first! 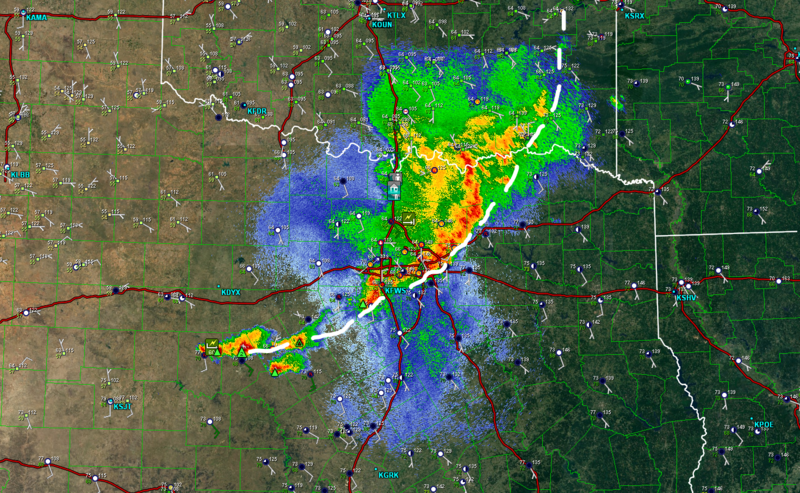 An MCS is ongoing currently. There were a few decent tornadoes today along and ahead of this north of Dallas, where likely some warm air advection and localized convergence along a remnant outflow boundary aided in development ahead of the main line of storms. There are a few things to note in the above image.. 1) The storms near Brownwood, TX (furthest southwest) are still supercellular and are not producing substantial outflow. 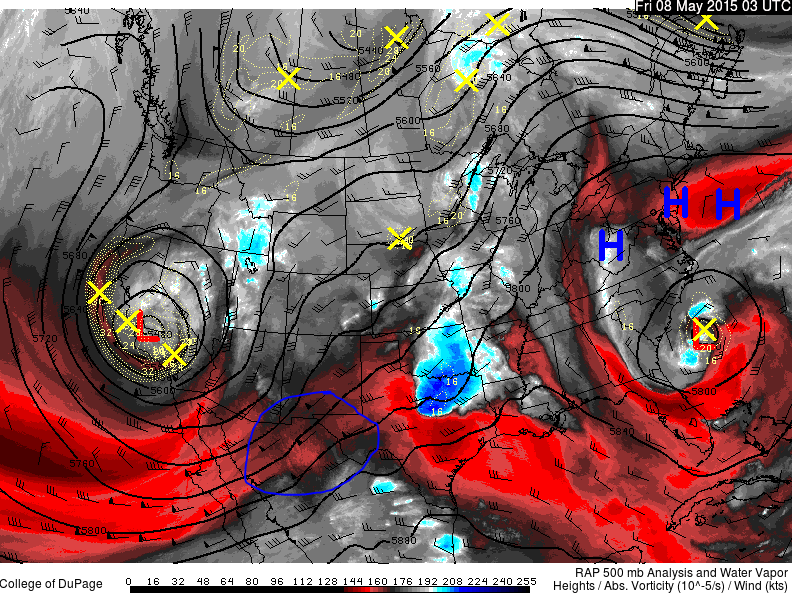 This is good in that we want moisture to be able to return north tomorrow. If these storms begin producing significant outflow and continuing south, that will not be good for tomorrow’s threat. 2) You can see the surface obs, and obviously, the more substantial moisture is ahead of the boundary.. How far north it will get tomorrow is going to be critical to the forecast. Looking at current soundings, I found two things that are noteworthy… 1) The moisture from the KCRP sounding (Corpus Chrisi) is very substantial and deep. This is good! 2) There is a slight EML from our lapse rate source region in southwest Texas, which when advected northeast, may provide some EML or “cap” tomorrow in Oklahoma/Texas. This is actually a good thing, as we need something to keep storms from forming too early in the morning. Here are those soundings. Looking aloft, we can see the major piece of energy out west that is going to be the cause for calamity the next few days. If you look upstream, it appears there may be a subtle speed max moving into New Mexico and Texas. This is a bit more apparent in a loop, so take my word for it? This is likely what the models are picking up on and in response, are developing convection. Will this happen? That is the million dollar question.. The observed soundings from AMA show some dry air to overcome, but there is some elevated instability.. Obviously, as a chaser, the most favorable evolution would be a dry, clear morning.. I am not totally confident in this, but with only weak elevated instability and no clear response thus far to the encroaching wave, I think we end up with a very foggy morning across western OK into TX, with maybe some drizzle or light rain. I do fear some storms developing tomorrow somewhere, but the focal point for these is not entirely clear. I would guess based on surface trends this will be somewhere east of Lubbock, Texas, maybe spreading north/east. With increasing EML though, I would assume this convection would not last all morning and would die by early afternoon. Targeting tomorrow is really, for me, about finding the western edge of the outflow from overnight MCS, and where it nears/intersects the dryline. I believe the outflow/effective warm front may mix northward, if the dense low level fog/stratus is able to clear, and there is not substantial convection in the morning. Wind fields are more than sufficient, so the real task is finding areas of substantial instability and being near that remnant outflow. I think storms will fire relatively early tomorrow. Probably by 2 to 3 PM. The environment strongly favors supercells with tornadoes, some strong and potentially long lived, but this threat is contingent on proper clearing and the boundary moving back north, where ample deep layer wind shear will be present.